INDIA. Mumbai. 2006. 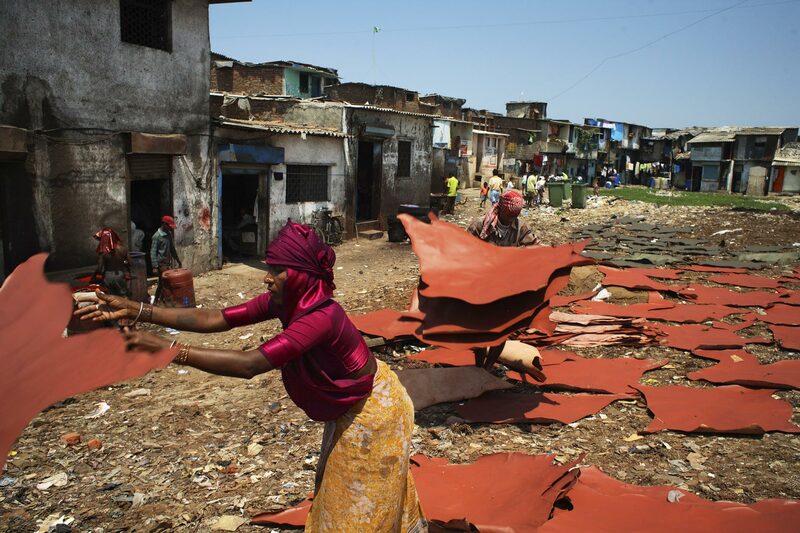 Leather tannery workers drying skins on a n open space in the Kalyanwadi area, the traditional leather tannery area of Dharavi.